The Duquesne University School of Pharmacy/St. 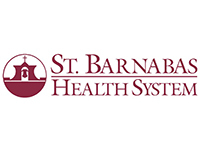 Barnabas Post Graduate Year Two (PY2) Geriatric Pharmacy Residency program has been granted a 6-year accreditation by the American Society of Health System Pharmacists (ASHP). Dr. Christine O'Neil, Assistant Dean of Curricular Development & Interprofessional Education at Duquesne University School of Pharmacy, serves as Director of the program. The PGY2 pharmacy residency in geriatrics is designed to transition PGY1 residency graduates from generalist practice to specialized practice focused on the care of geriatric patients across the continuum of settings in which health care is provided to this patient population. Residency graduates are equipped to participate as integral members of interdisciplinary teams caring for geriatric patients, assuming responsibility for pharmaceutical care tailored to specific identified needs of geriatric patients and their caregivers, and emphasizing education and counseling on medication therapy management promoting therapeutic goal achievement. Those completing the residency acquire a wealth of knowledge of the diseases, syndromes, and disorders affecting geriatric patients and their psychosocial needs. The combination of this knowledge and extensive experience in the care of geriatric patients produces a pharmacist who can successfully serve health care organizations as the ultimate resource for information about medications used to treat this population and for decision-making affecting their care. This includes leadership in formulary decision-making for medications used in the care of geriatric patients and the development of treatment guidelines/protocols. Groomed for practice leadership, geriatric pharmacy residency graduates can be expected, to continue their pursuit of expertise in practice; to possess advanced skills to identify the pharmacotherapy and medication-use training needs of other health care professionals caring for geriatric patients; to deliver effective training to those health care professionals; and to contribute to public health efforts for health improvement, wellness, and the prevention of medication-related problems in the geriatric population.